When President Trump, in the middle of his first speech at the United Nations, referred to the 2015 Iran nuclear deal as “one of the worst and most one-sided transactions the United States has ever entered into” he made the case that, under his administration, Washington plays its own game. 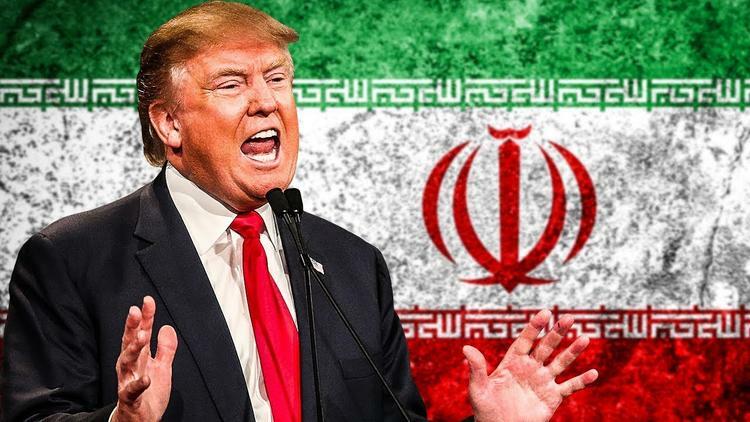 On 14th October, less than one month since the UN speech, Trump refused to proceed with the periodical certification of the agreement, giving the Congress the power to introduce new sanctions against Iran and showing the clear will of renegotiate the deal unilaterally. The new Iran Strategy is on the table. Even if the US complete withdrawal from the agreement does not seem a concrete option, Trump’s rush of declarations and actions is fostering a negative perception among the international community. As pointed out by Gholamali Khoshroo, the Iran’s Ambassador at the UN, in a commentary published by The New York Times, the 2015 agreement is a multilateral deal, signed and then published as a resolution of the United Nations Security Council, which has given to the International Atomic Energy Agency (IAEI) the exclusive power to control and certify the implementation of the agreement. The European Union, through the direct negotiation of Germany, played a central role in the definition of the JCPOA (Joint Comprehensive Plan of Action), which still represents “a concrete result of European unity”. Definitely something quite unique in the troublesome EU politics, and thus worthy of attention. China sponsored the agreement and has no political, nor economic reasons to renegotiate it, while the Russian Deputy Foreign Minister, Sergei Rybakov, is “convinced that attempts to put JCPOA in question… will not bring any result”. In a nutshell, the discussions between Iran and the 5+1 countries generated an unexpected wide and stable consensus within the international community. Ignoring and surpassing it means going down the rabbit hole. However, President Trump is not simply moving away the United States from the global consensus around the 2015 deal but he is treating it as a bilateral agreement between Washington and Tehran. Critics on Trump’s moves are, in the last months, surpassing the ones of the deal itself, even among Washington’s more conservative clubs. Top analysts and former Pentagon officials are putting pressure on the administration’s blindness. Nevertheless, what is really at stake for the US after Trump’s attempt to transform the deal into a two-way relationship is American isolation within the international community. The America First narrative that animated the Presidential Campaign of Donald Trump is rapidly transforming the US into an unpredictable outsider within the international community. This is definitely not new, since, after the Second World War, Washington has always acted independently and perhaps even beyond the limits of international norms and laws. This was possible because the United States were both a material and cultural superpower, able to shape a quite solid Western consensus around its policies. Nowadays, the relative power of America is, to some extent, declining and this is reducing its space of authority, as well as the possibility of being accepted as a justified outsider by its partners. America First is exacerbating the US disengagement from the international community, while the querelle around the nuclear deal is increasing the perception of the “US as an international trouble maker and unreliable partner”, as stated by Arshin Adib-Moghaddam, professor at the School of Oriental and African Studies. Yet, Trump’s strategy for the JCPOA becomes even more problematic if we think that beside the effort to regulate Tehran’s nuclear programme there was the clear intention –shared by all the parties involved- of promoting the re-inclusion of Iran within the international community. The European Union, the United Kingdom, China and Russia remain coherent with the consensus reached in October 2015, attracted by the political and economic opportunities offered by the re-election of the moderate Hassan Rouhani. Paradoxically, a deal that aimed to include Iran within a global consensus is resulting in the self-promoted exclusion of the United States from the international general agreement. US overseas partners (e.g. the UK and Europe) and old enemies are polarising themselves against Washington in a quite unprecedented way, signalling a problematic reality that goes extensively beyond the Iranian question. Consequences can be dangerous. As the Iranian vice-president for Economic Affairs states, Trump’s rhetoric “has angered everybody”. Yet, bi-lateralizing the agreement means re-focusing the rhetoric of US-Iran relations around the “vitriol violence” that dominated the post-1979 environment, giving substance to the claims of Tehran’s most conservative and against-the-deal factions. It is no coincidence that, in his decertification speech, President Trump called for new direct sanctions towards the Islamic Revolutionary Guard Corps. Provoking the IRGC –perhaps the strongest bastion of anti-Americanism in Iran- means treating the fragile equilibria on which the deal has been accepted by Tehran’s establishment and, consequently, vanishing “the diplomatic policy that sustained the IRI’s moderate and pragmatic factions embodied by Iranian president Hassan Rouhani and foreign affairs minister Javad Zarif”, says Stella Morgana, PhD candidate at Leiden University. Within the domestic battleground, Iranian moderates still find in the global consensus around the nuclear deal a safe harbor for its maintenance, deeply criticizing the unilateral approach promoted by the US administration. Yet, Trump’s decisions are eroding the base of the agreement, the internationality–the existence of a global consensus- that forced all the parties and Iran in primis to reconsider their prejudices about the opponents. If this is undermined, the path of the nuclear deal will effectively be in danger. In the growing-polarization of the Middle East, President Trump is once again discarding Iran and re-centring the US positioning around the safe and sound alliance with Israel and Saudi Arabia. However, Washington European partners seems not receptive to this policy, questioning more than ever the American hegemonic attractiveness. Javad Zarif, the Iranian Foreign Minister, tweeted that US and its allies are more worried that Iran abides by the JCPOA than violates it. Zarif’s sharp tweet does not seem wrong: if Iran remains on track with the implementation of the JCOPOA, making the nuclear deal a two-way relationship remains the only option to increase the tensions with Teheran. However, after Trump’s decertification of the deal, the global consensus around the preservation of the JCPOA has finally surpassed the importance of the agreement itself. Perhaps this is the worst picture for Washington. Jacopo Scita is a postgraduate student at the School of Oriental and African Studies, University of London.